Shoppers at the Dress Barn on Milwaukee St. in Boise will notice a new name for the store: Roz & Ali. The women's retailer is replacing signage on the store according to permits filed with the City of Boise. 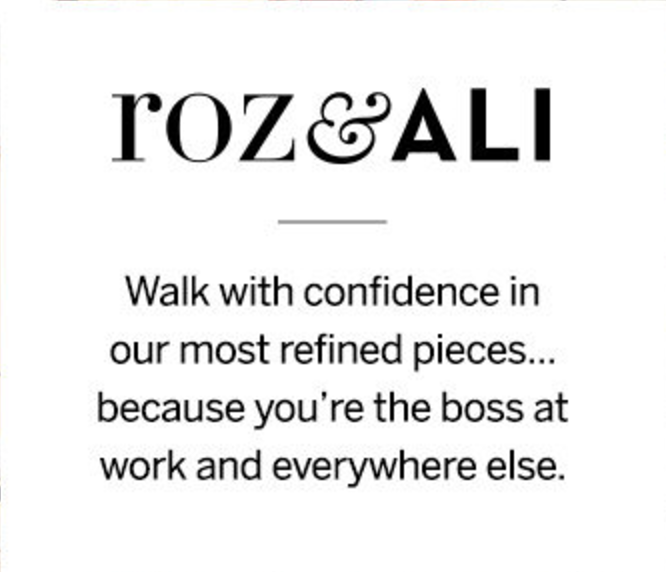 Walk with confidence in our most refined pieces... because you're the boss at work and everywhere else. The same thing is going on in Wichita, Kansas - according to the local paper in that area.